I became a fan of Splendid Spoon years before I understood their philosophy. I regularly ordered their soups from Fresh Direct, an online grocery delivery service in New York. 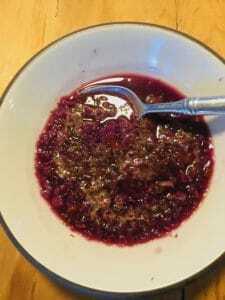 I began to substitute their soups, packed with nutrients, for my dinners a few times per week. However, Fresh Direct has a limited selection and I wondered where else I could buy them. I researched the company and learned all about their programs. I’ve never embraced cleansing or trendy diets. 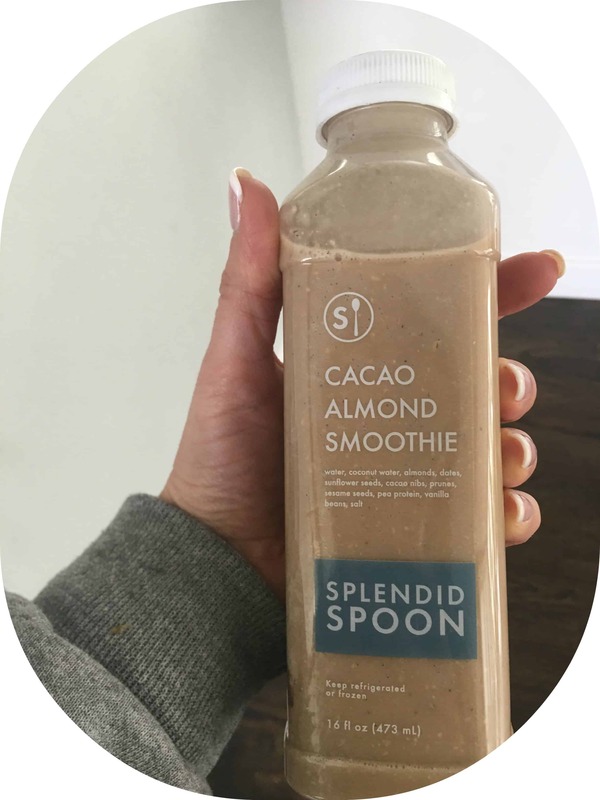 I believe in clean eating and long-term lifestyle changes, as does Splendid Spoon. This post contains affiliate links. See disclosure policy for more information. *Note: This post was originally posted in April 2018 and has been updated to reflect accuracy and new product information. Check out my downloadable “Go-To Snacks to Keep Your Eating on Track” list at the end of this post! 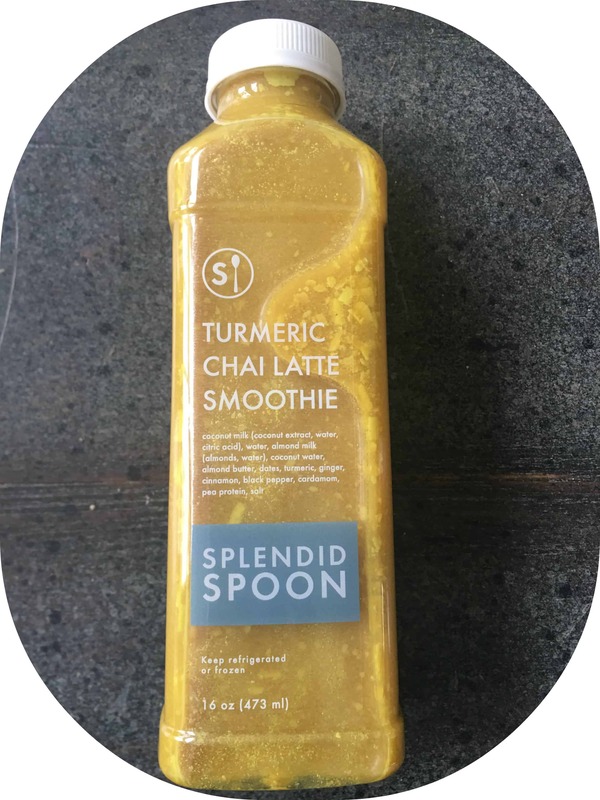 Splendid Spoon is a vegan and gluten-free, plant-based food company, located in Brooklyn, New York, that delivers nationwide. However, unlike other meal plans, you supplement with your own healthy dinners and snacks. This plan works for vegans, vegetarians, and meat-lovers. You get a lot of food. At the end of the week, I usually have at least half a container of soup, if not more, leftover in the fridge. 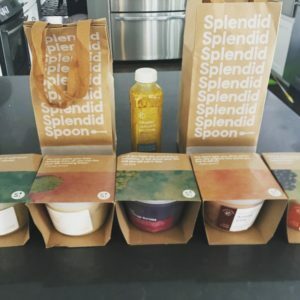 Splendid Spoon Meal Plans: What Do You Receive? If you’ve read my blog before, you know, I only write about products that I use and love. 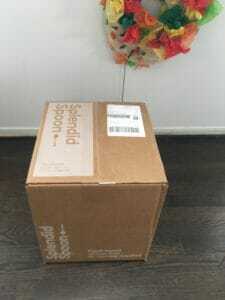 Splendid Spoon sent me their product to try and I am thrilled to be a part of their Ambassador Program. If you would like to try it out either the 9-to-5 Meal Plan or the 1-Month Starter Plan, use my Ambassador perk to receive $50 off your first order. You will receive five soups for lunch, or as I prefer to eat them, for dinner. This is their most popular plan and replaces their Splendid Spoon 2.0 Program. 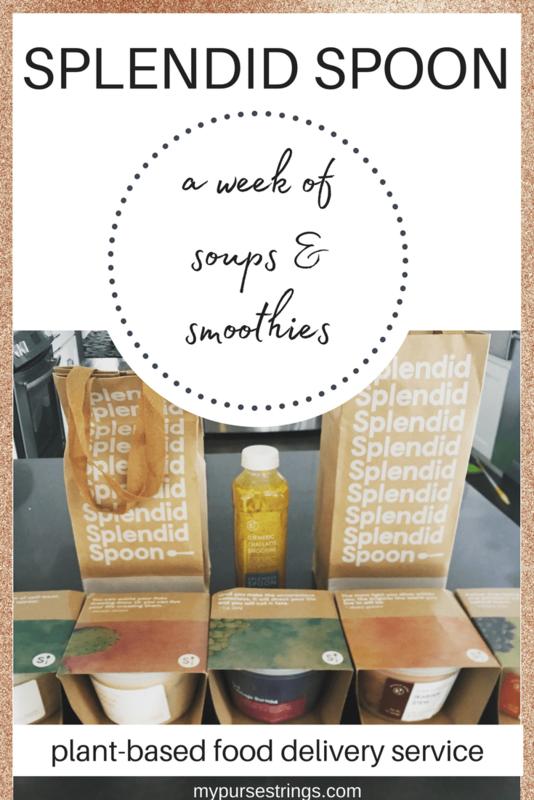 You receive 5 smoothies and 5 soups for the week. For dinner, make a nutritious meal. I usually eat a salad. You can have some healthy snacks throughout the day like fruit. You can find a list of some of my favorite go-to snacks in my free resource library (you can get a password for it by signing up for it at the bottom of this page). Splendid Spoon recently removed the word “cleanse” from their vocabulary, and instead started calling it a “reset”. 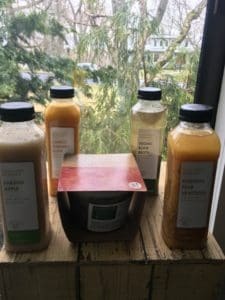 I too have never been a fan of cleanses. And, when I would describe Splendid Spoon to others, I would always say, it’s not really a cleanse. It’s a reset. Because in fact, you are eating (or drinking if you choose) soups throughout the day. They really fill and sustain you. I don’t usually even get to all of them throughout the day. With the 1-Month Starter, you begin the month with a reset day, wherein you have drinkable soups throughout the day. For the next four weeks, you continue the program described in the 9-t0-5. So, you drink a smoothie and eat soup each day, and make a healthy choice for dinner. Have I mentioned how delicious these soups are? If you’re really looking to begin a journey into healthy eating or wanting a reset, this is the plan I would choose. Healthy snacking is encouraged. But, honestly, what I love most about Splendid Spoon is that I forget to snack. I feel great throughout the day. Sometimes, I change it up and have oatmeal for breakfast and a smoothie for lunch. Then, I’ll have my soup for dinner. Other times, I have half a smoothie in the morning and finish the other half for lunch. Can I Drink My Coffee? As usual, I began each morning with a cup of coffee. One thing that sold me on this program is that I did not need to entirely eliminate coffee (although on the Reset Day, you limit it to one cup of coffee or tea). I always have my coffee first and then wait a bit to drink my smoothie. The first thing you’ll notice when receiving the huge box of smoothies and soups is the thoughtful packaging. Words like mindfulness, meditation, and holistic appear in their instructional brochure. 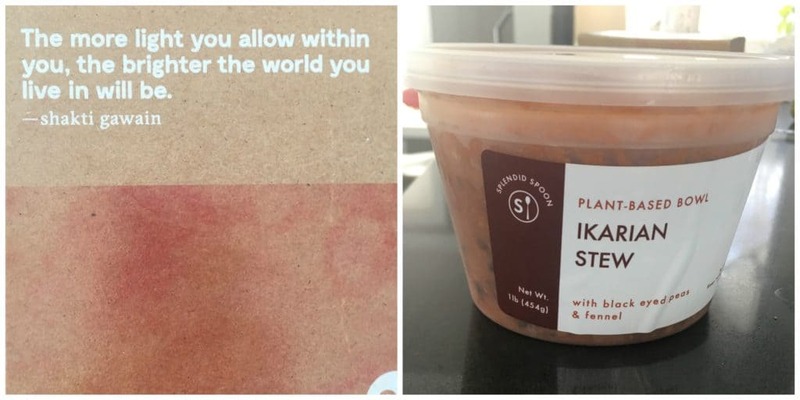 The soups come individually wrapped with motivational messages, encouraging meditation and gratitude. Prices vary depending on the plan. The 9-to-5 is $95 per week and the 1-Month Starter is $395 per month. Remember, you’ll receive $50 off of your first order of either of these plans simply by using this link. How often you utilize this plan is up to you: weekly, once per month, every other month, or whenever you feel the need to revamp and refresh. Upon completion of this program, I signed up for delivery once per month. Splendid Spoon does not guarantee weight loss. To keep track of calories and nutrition, I log everything using the Lose It! app. However, I sometimes need to manually enter most information as the foods already in the system and the scanning system often bring up inaccurate results. 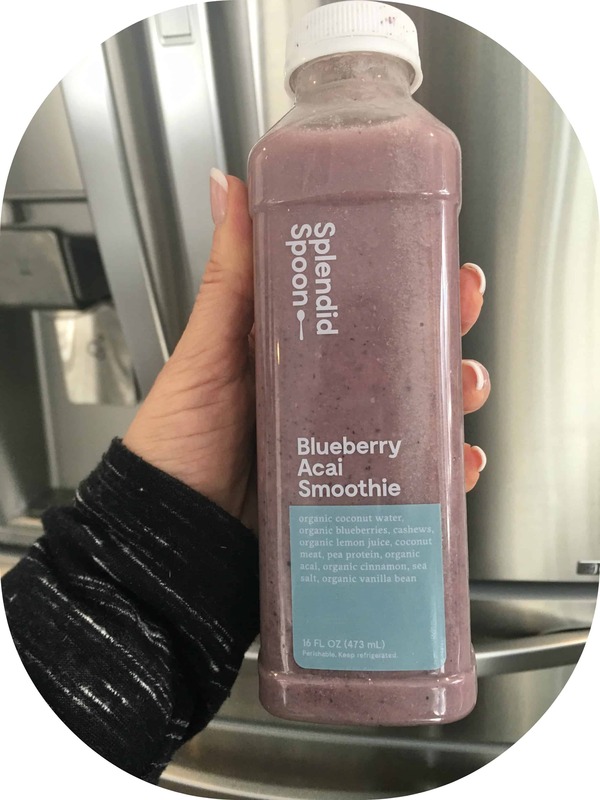 It’s important to remember (and I have seen misinterpretations by other bloggers) that each smoothie bottle and soup container contains two servings. You will likely eat two full servings for your meal. For full nutrition information on all their food products, click here. I worked out almost every day and stuck to the plan. I found myself not craving carbs, snacks, sweets, or even alcohol. At the end of the week, I was down two pounds! My energy remains high throughout the day. I felt less bloated. And, I love not having to even think about what to eat or prepare for each meal. I’m a vegetarian and I often wonder if I’m getting enough of the right nutrients. Splendid Spoon takes away my worries. Not only do they combine ingredients and antioxidants that I would never have on hand, but they also vary the types of added proteins. For some reason, as a teenager, I pretty much avoided the bad skin phase. Yet, as an adult, I suffer from rosacea and breakouts. My skin without question looks better when I do Splendid Spoon. I must have some sort of food intolerance. Sometimes at night, my stomach makes the strangest noises. But whenever, I do Splendid Spoon, the rumbling stops. 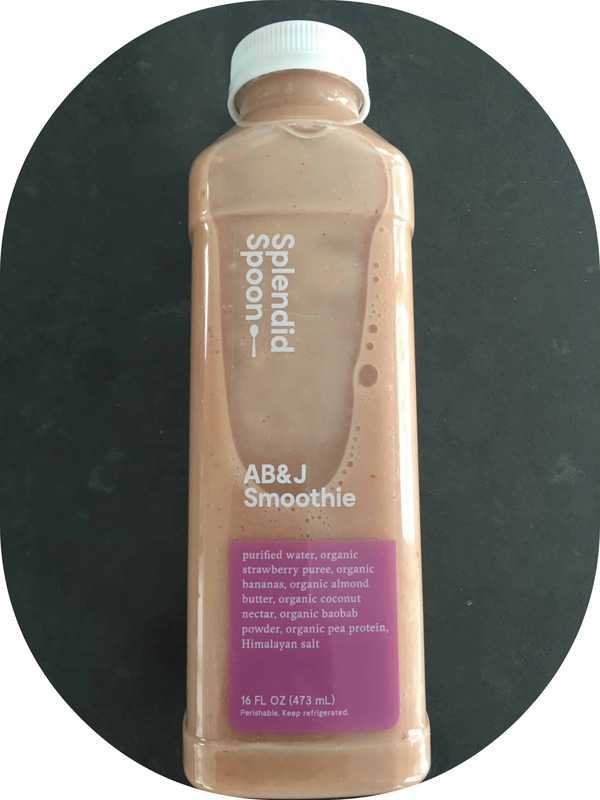 *Note: This is based upon my first experience with Splendid Spoon when they offered the 2.0 Program. I did a reset day, which is currently only available with the 1-Month Start Plan. I now usually do the 9-to-5 plan once per month or more. Despite the snow storm the day before, the UPS driver came through and delivered the package. And wouldn’t you know it, on Day One of the Program, I’m home with my kids, baking cookies (resisting all temptation) and waiting for school to start on a 2-hour delay. This smoothie contains more calories than my typical breakfast. Taste: This smoothie had some grit to it but not in a bad way. I don’t like sweet drinks and this was perfect, only mildly sweet. I could definitely taste the coconut meat. I would order it again. Granny Smith apple with Trader Joe’s flaxseed peanut butter. Taste: When I opened the container, it still had ice floating in it. Maybe that’s why the soup wasn’t as thick as I would have liked. I microwaved it for 3 minutes. I immediately tasted the lemon flavor. I initially had just one serving but I was hungry ten minutes later and finished it up. I could pass this off as one of my own homemade soups. I would absolutely have it again. I had a headache but realized I never had my second cup of coffee in the morning. Feeling caffeinated, I was good to go. I quickly ate a Greek salad and banana before running out the door to my book club. With wine and snacks in front of me at my book club, I realized today was probably not the best day to start this program. As we discussed the Tea Girl of Hummingbird Lane, I convinced myself to drink Pu’er tea and not wine. I couldn’t resist the brownie batter chocolate hummus (have you had this yet? ), edamame hummus and mini-pretzels. Again, I started the day with coffee. This time, I added a banana. Taste: It tasted like a mocha drink but not as sweet. Again, I had the full bottle, 16 ounces. The smoothie had some grit to it and I had to keep shaking it. Overall, I enjoyed this smoothie. It was one of my favorites. So far, I’m impressed with the range of ingredients. If I made my own smoothie, I wouldn’t think to put half of these ingredients into it. I normally eat lunch around 12:30. I couldn’t believe how much the smoothie had filled me. I had a small green salad. I had another headache which went away after my second cup of coffee. I switched out my soup for dinner. Admittedly, I was not looking forward to the Borscht, especially since my kids were eating mozzarella sticks, garlic knots, and pizza. Taste: Surprisingly, there’s a kick to this soup although chili powder is the last ingredient. It’s not a smooth soup. There are pieces of apples, carrots, and parsnips, but no beets (despite its color). I didn’t dislike it but it wasn’t my favorite. I decided to have only one serving and finish my salad from lunch. 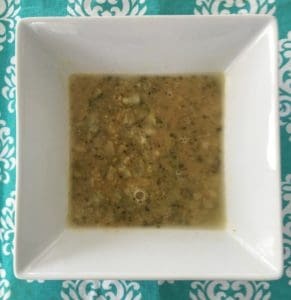 I put second serving of this soup in the refrigerator and never finished it. The kids ate ice cream cones and I had a cup of blueberries. Instead of wine, I had a cup of tea. Taste: This tastes like a traditional fruit smoothie that I would make. However, I would never think to add baobab or salt. In fact, I had to look up baobab. It’s an antioxidant with other health benefits, such as controlling blood sugar levels. Now, I’m seeing it on every menu. Taste: I love chickpeas. This soup tasted better extra hot. Interestingly, it had a bit of kick from the red pepper but otherwise, I found it a bit bland. My new go-to dinner is zucchini noodles with tomato sauce, sprinkled with goat cheese. I stole a dinner roll off my kids’ plates. Cup of almonds and blueberries. Cup of tea. You can wander on whichever day you choose. It’s a day to eat as you normally would, like a cheat day, without going overboard. I selected this day because it was my daughter’s birthday party. After a tough workout, I was ready for my smoothie. 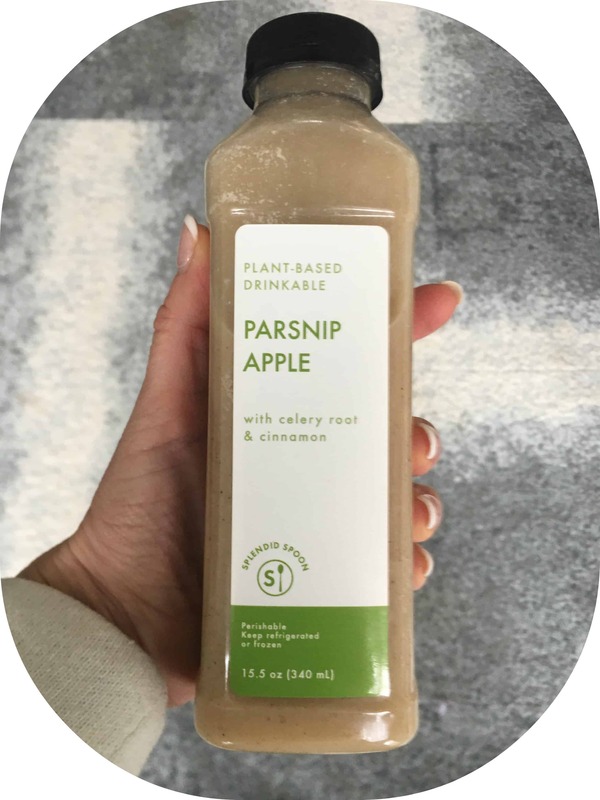 Taste: I had no idea what to expect with this smoothie. The tartness of the cranberries jumped out. 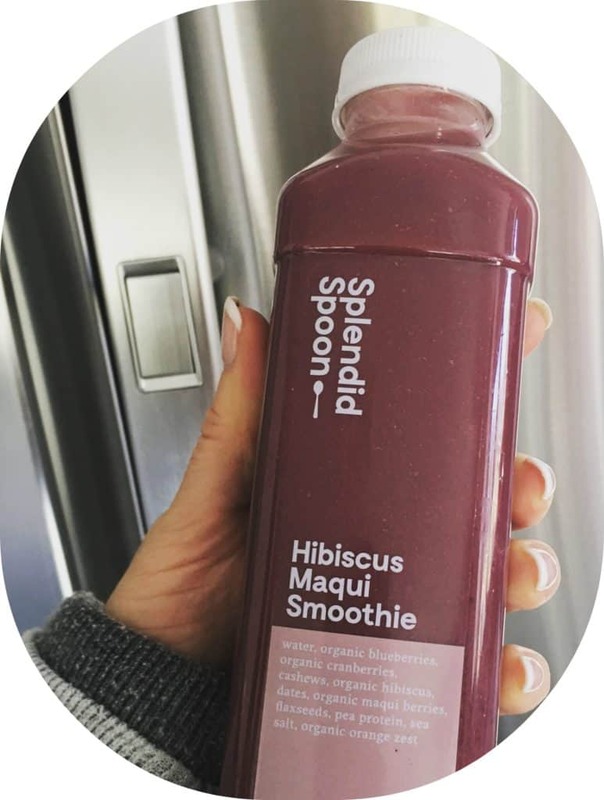 Again, this smoothie includes ingredients that I would never have added on my own like maqui berry, an antioxidant, and hibiscus, helpful to blood pressure. I only drank half the smoothie and saved the rest for later. After a 3-mile walk with my puppy, I had lunch. I’ve had a great amount of energy all week. Taste: This soup smells and tastes like a mild curry. I didn’t notice the rice until I read the ingredients. I really enjoyed this soup. It felt like a hearty meal and I ate only half of it. I finished the rest of the smoothie for a snack. This is our rush day and I have an early dinner with the kids: salad with a veggie burger. Naturally, I steal french fries from their plates. Note, I got a ton of exercise today, a long walk and an intense spin class. I felt satisfied the entire day. Taste: I saved this smoothie for last. It had a vibrant color due to the turmeric. I add turmeric to my food all the time and I enjoy Chai. However, combined, this was not my favorite smoothie. I didn’t hate it but it would probably be my last pick again next time. I just realized that except for that one time, I haven’t had any other bread all week. My snack consumption has gone way down. After a spin workout, I decide to have yesterday’s leftover soup. I actually craved it. This leaves me with one untouched extra soup for the week. 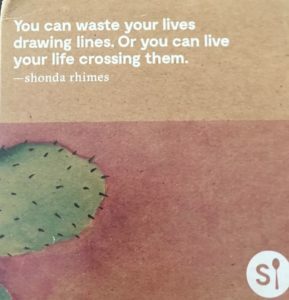 Worth noting, each soup is wrapped in a cardboard mantra, ranging from Ralph Waldo Emerson to Shondra Rhimes. Banana with peanut butter and coffee. Leftover salad topped with a veggie burger from the other night. This is it–the cleanse day, which means four drinkables and one bowl of soup. Their program is akin to intermittent fasting (a day of low-calorie, not zero calorie fasting). I felt like the entire week cleansed me, not just this one day. Instead of starting the day off with my usual coffee, I drank a glass of water with lemon. Throughout this program, Splendid Spoon encourages you to meditate. I took a deep breath and thought of all that I needed to get done before vacation in two days. They recommend that you allow two hours between each meal and to hydrate with water in between. I realize that I don’t drink enough water. You didn’t think I would give up coffee, did you? But this is my only coffee of the day. I made a 10-ounce mug. Taste: I don’t heat this up. I drank the full bottle. It’s thicker than expected and tastes like an apple pie but not too sweet. I enjoyed it. 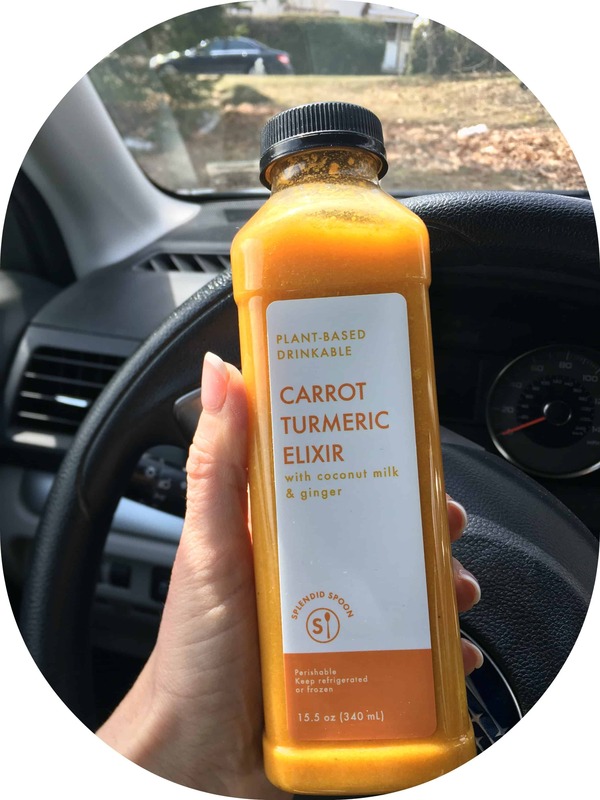 Ingredients: Carrots, Coconut milk, Onions, Extra virgin olive oil, Ginger, Sea salt, Turmeric, Rosemary, Black pepper, Cayenne pepper. Taste: I assume this is meant to be consumed cold, like a chilled carrot and ginger soup. I sipped it while running errands. It didn’t have too much taste but I noticed the ginger. Taste: I decided to heat this one up. I tasted only the pumpkin and not the pear. I appreciated the small pieces of pumpkin as it felt like a meal. I didn’t taste the pepper. This one is really good. Note: Despite all my running around, I wasn’t hungry. I could honestly have skipped this meal but I’m trying to keep to the schedule. 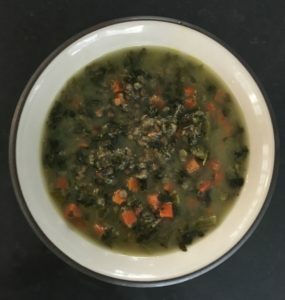 Ingredients: Carrots, Kale, Green lentils, Red lentils, Onions, Olive oil, Garlic, Sea salt, Curry powder, Rosemary, Saigon cinnamon, Black pepper. 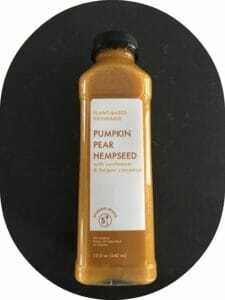 Taste: This is an old favorite that I’ve ordered from FreshDirect for years. It tastes like a soup I would make from scratch and it definitely fills you up. Note: Remember I had an extra soup? 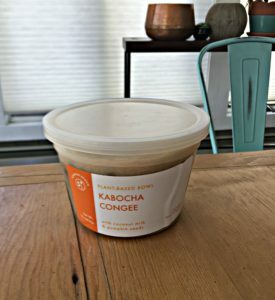 My mom was visiting and I offered her a container of the Red Lentil Dal, another staple of mine from FreshDirect. She immediately noticed the spices, curry powder plus cumin. She would order this again. This is super low-calorie. Supposedly, it’s a nightcap to prepare you for bed. Vegan bone broth brings forth all sorts of ridiculousness visions into my head. Bone broth is on trend these days and this is great marketing. Taste: I almost skipped this one. First off, I wasn’t hungry. Secondly, it had the appearance of a science experiment or lava lamp, with floating specimens in a brown liquid. I had to put this one in a bowl and heat it. It tasted like a mushroom broth, with a similar feel to a miso soup. It relaxed me, similar to having a nighttime cup of tea. This program put my healthy eating back on track, with a bonus of weight loss. I tend to eat the same things again and again. I appreciated the variety of ingredients in the meals, especially the added protein. Since the Program ended, I’m finding myself hungrier now. I’m snacking more often and eating tons of carbs. As soon as I returned from vacation, I prepared one of their soups for lunch. I hope you like this program as much as I do and I can’t wait to hear your thoughts, especially from meat-lovers. Remember to click here for $50 off your first order. The key to healthy eating is to make it easy. That’s why I love Splendid Spoon. Check out some of my Splendid Spoon posts on Instagram and let me know what you think! What did you purchase? If it applies, I’ll contact them and try to get it sorted for you! They’ve made some changes recently. Let me see what I can do. Thanks for your email, Catherine. Glad it all got sorted out. I think you’ll love it. Let me know if you have any questions. Very in depth! Looks like a solid and tasty program to be involved with for meals and health! Thank you for introducing me to ss! I lost 4 lbs in the first 4 days. The soup bowls were hearty and the smoothies were filling and yummy. I plan to repeat every 6 weeks or so to reset. Amazing. Keep me updated. I’m doing once a month but every six weeks sounds like a good option too. This is an interesting concept! It seems like it’d be easier to follow than some of the other programs out there. Great review! I loved it. I start another week on Wednesday.